Huge Potential Hyatt Devaluation, More Amex Clawbacks, Amazing $1K Bank Bonus & More! This week was a mixed bag, we got some disappointing news about Hyatt Cash + Points bookings but also reported a few lucrative loyalty promos. There are some great spending deals this week between Staples and Giftcards.com if that’s your thing and a few bank bonuses to look into. Last, you should definitely scan the credit section for news including retention results, a Platinum Varieties Guide and more. Negative Walmart MO Changes, 170 Million MR Points, Crystal Visa Infinite Details & More! 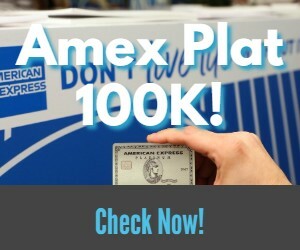 Is American Express Clawing Back Upgrade Bonuses Too? Requalifying for Hyatt Globalist at 55 Nights: Do You Get Suite Upgrades & A Free Night? Staples Mastercard GC Instant Discount Deal Starting Sunday! New Promo: Save on Mastercard Gift Cards at GiftCards.com!